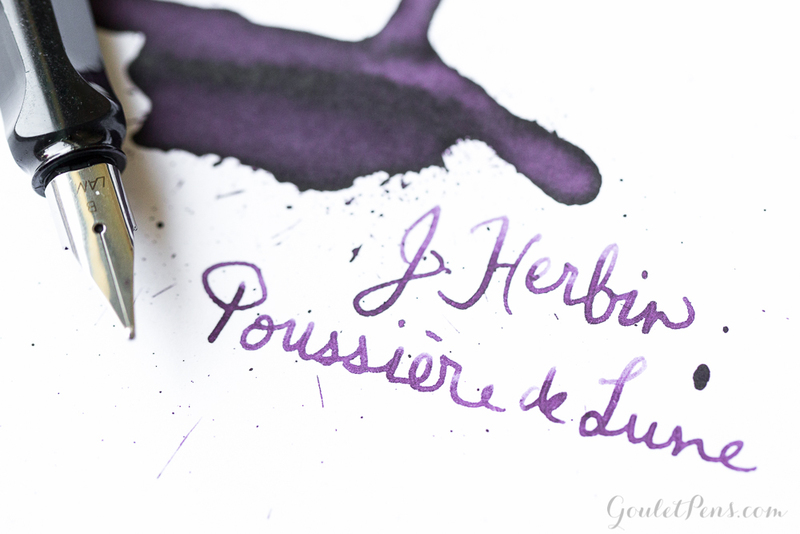 Sarah chose J. Herbin Poussière de Lune to feature in this week’s Monday Matchup. 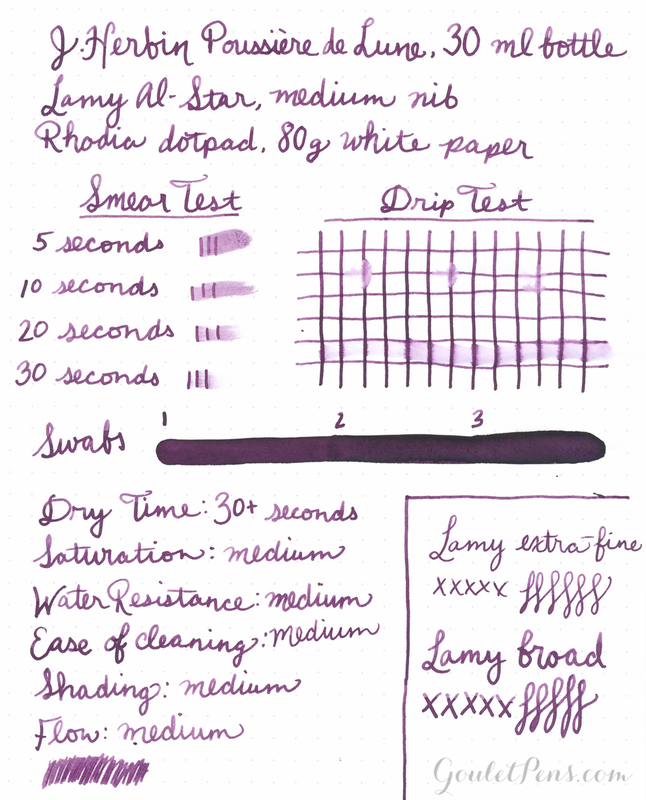 It is a delightfully deep purple that works well as an ink wash as well as in writing. 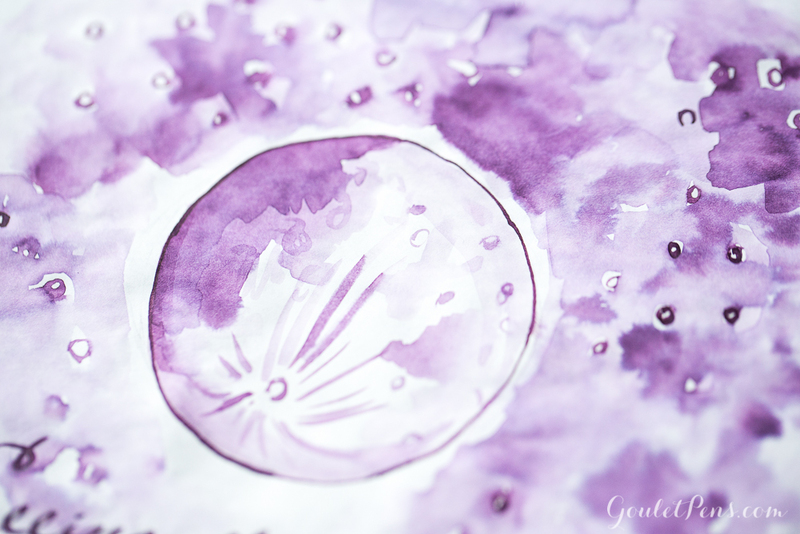 I really enjoyed working with this ink and found its hue calming and pleasant. 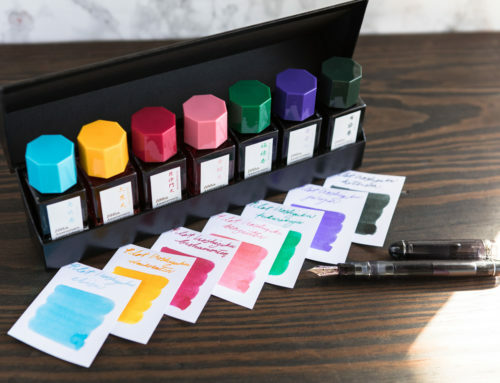 I can definitely see it being a great ink to journal, write letters, or take notes with. I hope you enjoy the review! 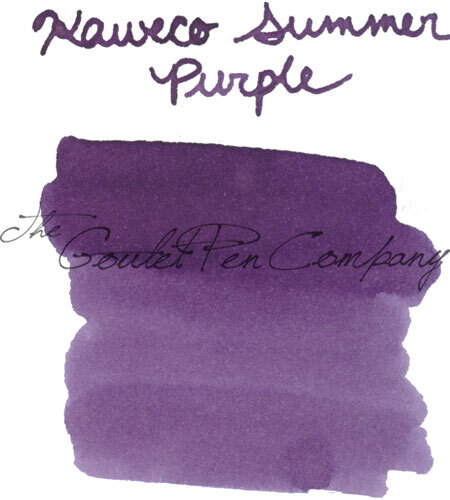 Medium– This ink is fantastic when using it in art, but if you are looking for a permanent purple, look elsewhere. While you can still see the lines, it does blur a fair amount when water is added. 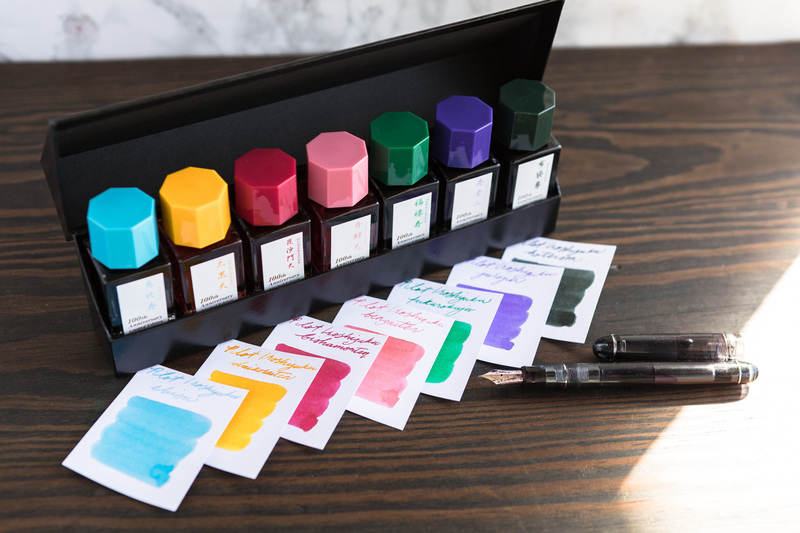 Medium– while this ink has a dark hue, it isn’t quite as pigmented as some of the other inks I’ve done reviews on. 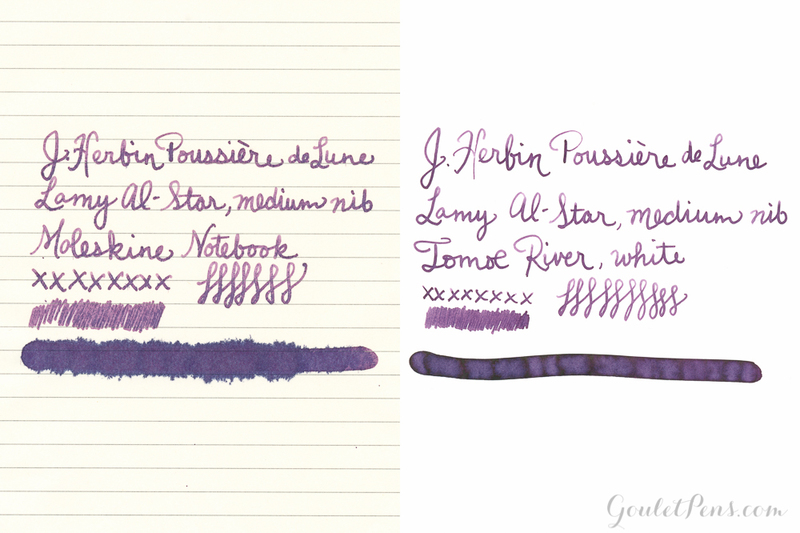 You can definitely see a difference between the first swab line and the third. 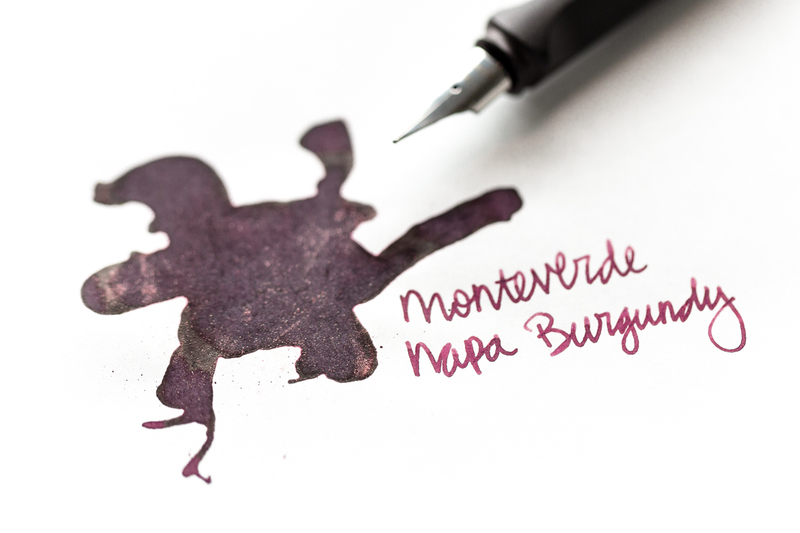 Medium– the darker shade makes it a bit more difficult to get off, but you won’t need to scrub. 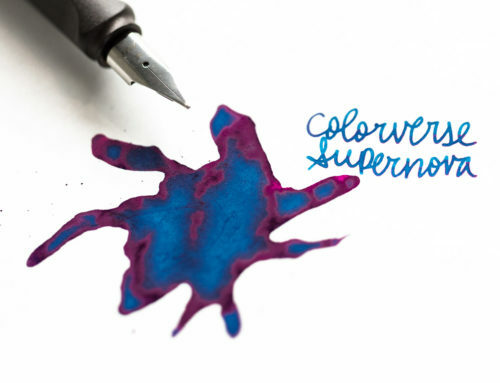 Medium– you can definitely see some differentiation in up and down strokes, but it isn’t as prominent as other inks. 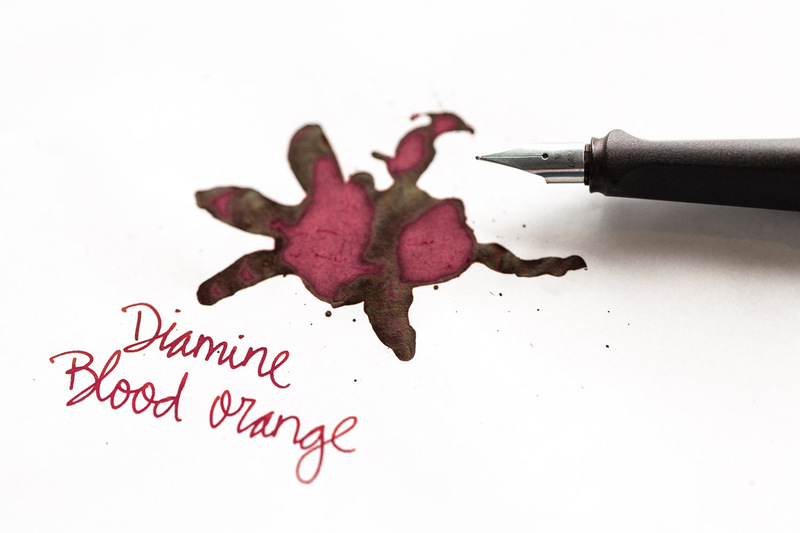 Medium-This is a wet ink, so plan your paper and nib use accordingly! 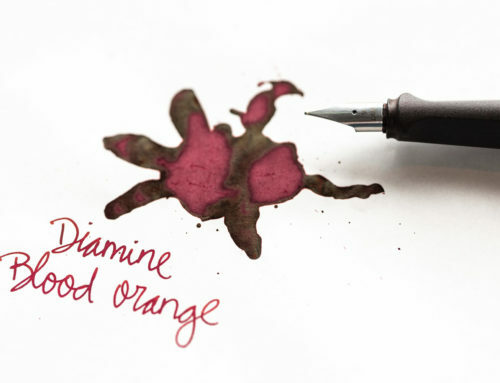 Fine or Extra-Fine nibs unless you are using fountain pen friendly paper. 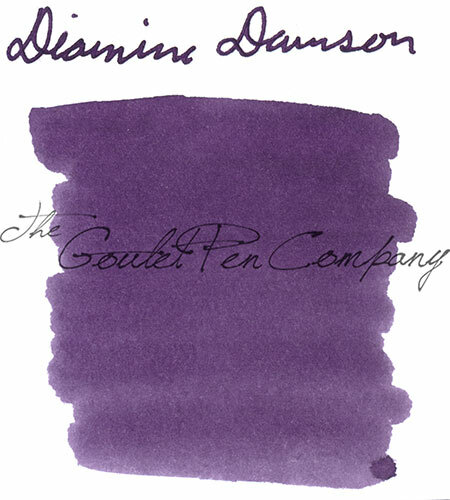 This a really beautiful smoky purple. 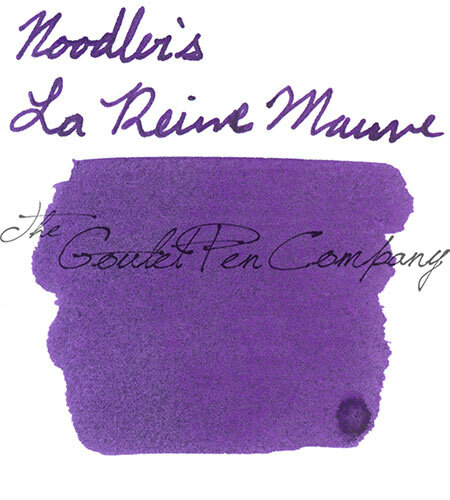 I love the name (it translates to moon dust) which makes it seem so much more romantic. 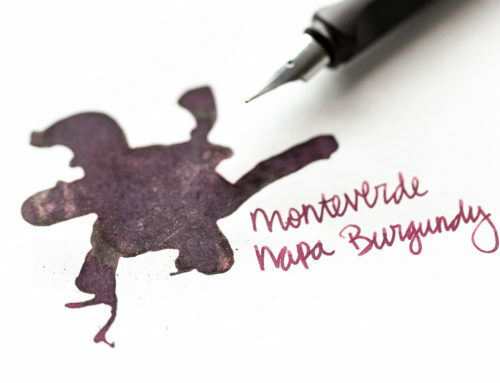 Sarah really showed it off with her art, but I also really enjoyed writing with it for the review. 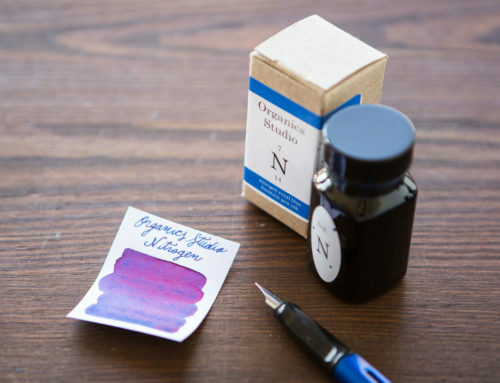 All in all, I would highly recommend this ink to artists, writers, and journalers! 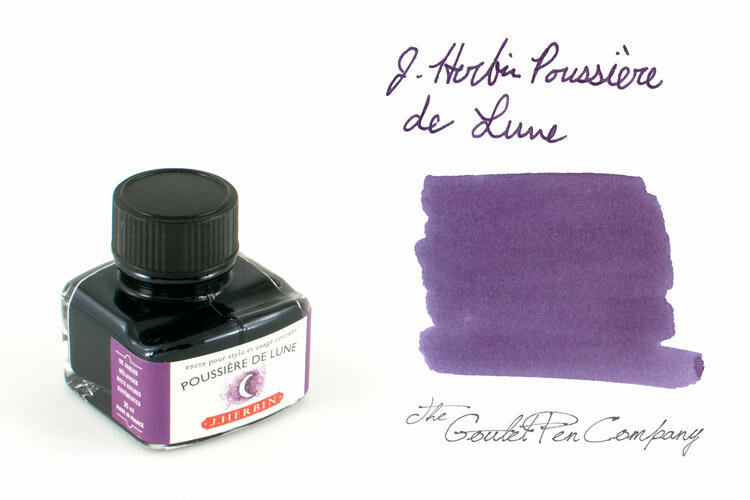 You can find 30ml bottles of J. Herbin Poussière de Lune at Gouletpens.com for $11 or 2ml ink samples for $1.25. 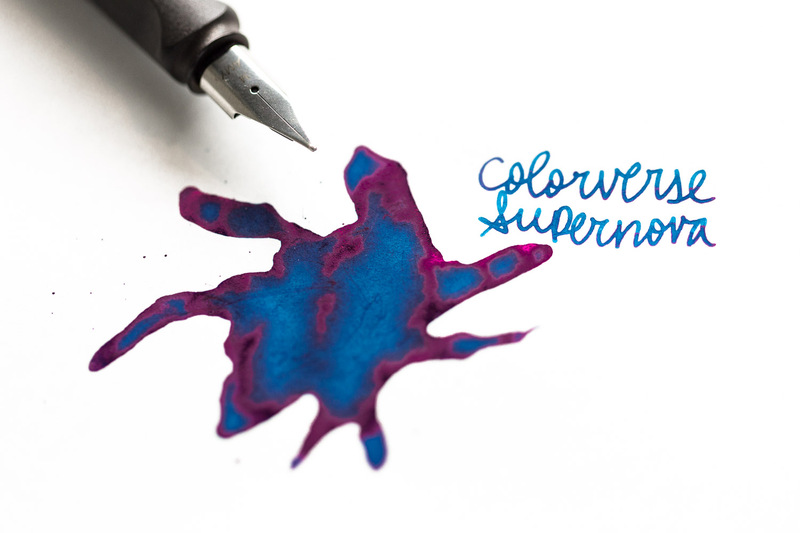 What do you think of this ink? 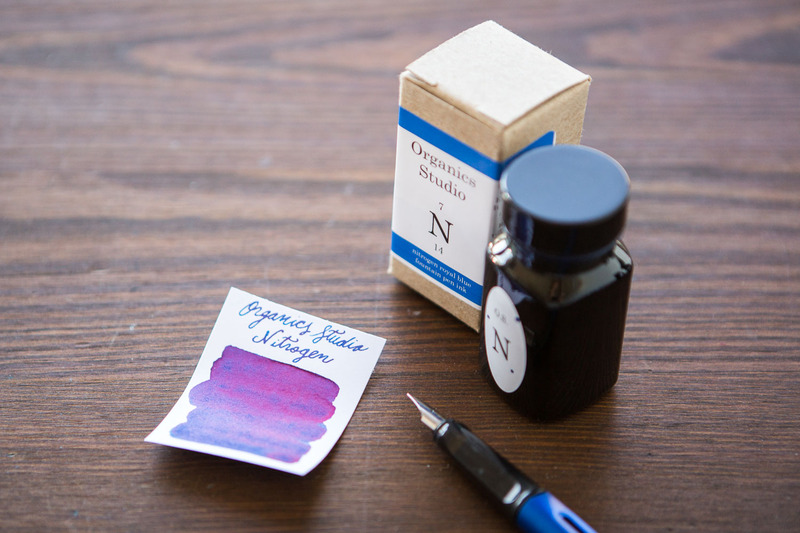 Have you used it in your writing before?